I wanted to share a layout I made with our challenge in mind. I created the scalloped circle floral paper lace, the butterfly, grass, flower and lamb piecings on this layout. Here is a close up of the little lamb and the Large Daisy flower. Here is a close up of the little butterfly. Here is a shot of the Circle scalloped floral paper lace I made. These are the letters I cut from my PC. So HOW can you recreate this layout????? Just read ON! Today’s FREE file is this cute Butterfly. Please click the add to cart button if you would like this cutting file. The available formats are: AI, DXF, EPS, GSD, KNK, MTC, SVG and WPC. My newsletter email is going out. This circle scalloped floral lace is the subscriber’s only cutting file. I will include the link again on Sunday's email if you haven’t signed up before today so be sure to do so. The Large Daisy flower will also be a newsletter subscriber only file, so again, be sure to sign up for my newsletter. UPDATE: SORRY....FREE FILE OFFER IS NOW EXPIRED. Very cute layout! Love your cuts! I am a follower of both blogs, thank you for the free files! An svg file would be get. Thank you again. I now follow both blogs(already followed one) and signed up for the newsletter. These are just adorable. Thanks so much for sharing them. Love your layout...that daisy flower is fabulous!! TFS! Melin- I am a follower to both blogs. I love all your great project. Thanks so much for sharing with us. Hi Melin! I just followed you sister blog! I just SCAL so I would love an SVG from to try it out. Melin, I just became a follower of both blogs. I have never been sure of how to go about becoming a follower, but I finally figured it out today. 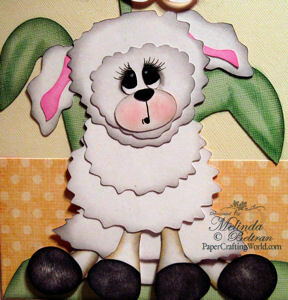 I love your little lamb, as I have both the Pazzles and the Cricut, I could use either the wpc file or the svg file. Melin, I am a follower of both blogs and would love to have the svg version of your files. They are so cute! TFS! WOWIE, what a FANTABULOUS 2-page layout!! I just got a Cricut for Christmas and the Sure Cuts a Lot software so I can do stuff. But not very experienced. I LOOOVE your cute elements. I'm a follower of both blogs and would love the SVG files please! WOO HOO! =) OH, and my email is breach4 [at] msn [dot] com. THANK YOU!! I'm a follower of both of the blogs and would love this file. I did it all, SVG files Please. I am a follower of both blogs. Your files are amazing. Some of the best I have seen. I would like the file as a wpc file. I am a follower of both sites. I would like the pattern as a dxf file. Thank you. I just followed both blogs and will now post your contest on my blog! I am a follower of your blog and the sister blog and have signed up for the newletter. I would love to have the svg file for the lamb. Thank you. Love both of your sites and are following both of you under gradl. Thank you for sharing your talents with us. I would love to receive the lamb file in svg.